IPO Investing — Guillaume & Freckman, Inc. When a private company goes public (starts trading on a stock exchange) the process is called the initial public offering (IPO). For most investors this is the first opportunity to own stock in these companies and there is a desire to “get in early”. We’ve discussed elsewhere that you should invest with a purpose and we’ve also discussed the difference between investing and speculating. While both of those subjects apply to investing in IPOs, here we just want to only look at the characteristics of IPOs. To start, you should know that Dimensional Fund Advisors, the firm we utilize in our client’s portfolios, does not invest in IPOs until they have been trading for 6-12 months. Dimensional takes an academic, evidence-based approach to investing and investing in IPOs in the first six months does not fit this approach for several reasons. The main concern is whether you are getting a fair price. As a stock trades, the market participants are setting a fair price for the stock based upon all the available information. 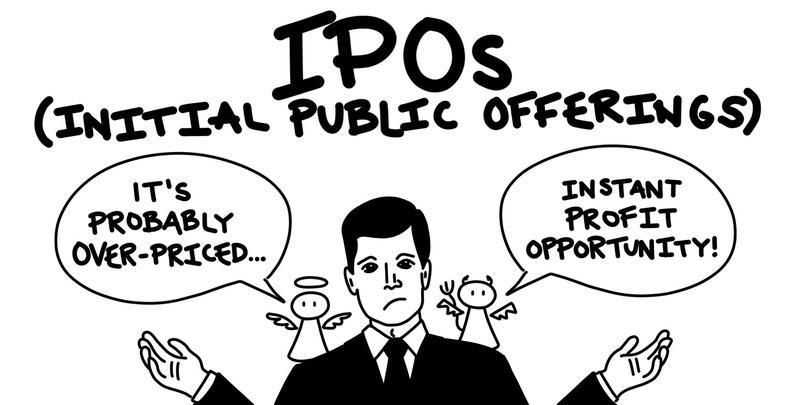 The problem with IPOs is that there is, initially, an information asymmetry. There may not be enough stock available for pessimistic investors to short the stock (take the position that the stock is over-priced). Institutional investors may have charters preventing them from shorting the stock (particularly for the institutions bringing the IPO to market). This last point is particularly true on the first day of trading when the IPO stock closes, on average, 12% higher than the IPO price1. Remember, the IPO price is only available to a relatively small number of investors through the investment bank(s) bringing the IPO to market. The first day rise is generally attributed to the “lottery effect”. The lottery effect is when investors are willing to accept a high probability of below-average returns to have a small chance of earning an outsized return if they manage to buy the next Amazon or Google. The evidence, in the short-term, is that there is a below-average return for IPO stocks. Professor Ritter of the University of Florida has been studying IPO performance for decades. The original study was released in 1991 for 1975-1984 and was updated for 1970-2010. In the updated data, we see IPOs (when equally-weighted) trail a similar set of non-IPO stocks by -4.8% in year 1, -8.1% in year 2 and -3.3% over the first five years1. The evidence certainly seems to affirm the first aspect of the lottery effect, a high-probability of below-average returns. Let’s take a look at the second aspect, the small chance of an outsized return. Below is a chart of high-profile IPOs since 20122. It’s showing the change in the market cap (the value of all the shares added together) after the first day of trading through mid-August 2018. If the chart were based on the IPO price, it would be misleading since so few are able to purchase at that price. This chart confirms the second aspect of the lottery effect, it is a small chance to get an outsized return. Perhaps you’re looking at this chart and thinking a strategy of buying a little bit of each IPO would make sense as you could own the IPOs that do out-perform. In theory, that seems reasonable. But it would be extremely difficult. How would you know when it is time to sell the “losers” to cut your losses so you could focus on the “winners”? 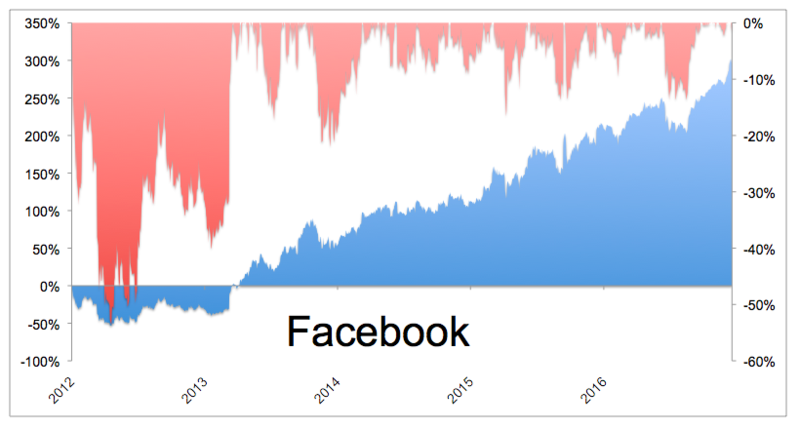 Consider Facebook, the biggest winner on the chart above. The chart below3 shows the gains in blue (with the percentage gain on the left of the chart) and the drawdowns in red (with the drawdown percentage on the right on the chart). You would have lost half of your initial investment in the first few months. Assuming you didn’t cut your losses, you’re back to even and maybe thinking you made your money back, time to get out. If you held on, you were rewarded quickly with a gain of about 30% above your initial investment. Now the “protect the nest” feelings start to come and you’re afraid to lose your gains. That feeling doesn’t go away and you’ll have to make it through many 10-20% drawdowns in the coming years as you can see in the chart. The point is, it sounds easy until you actually have to do it. 1Swedroe, Larry. “Why IPOs Underperform.” CBS News, CBS Interactive, 15 Nov. 2012, www.cbsnews.com/news/why-ipos-underperform/. 2Batnick, Michael. “Making Private Public.” The Irrelevant Investor, 11 Sept. 2018, theirrelevantinvestor.com/2018/09/10/making-private-public/. 3Batnick, Michael. “My Friend Is Beating Me.” The Irrelevant Investor, 7 May 2017, theirrelevantinvestor.com/2017/05/06/my-friend-is-beating-me/. The opinions voiced in this material is for general information only and is not intended to provide specific advice or recommendations for any individual. All performance referenced is historical and is no guarantee of future results. All indices are unmanaged and may not be invested into directly. 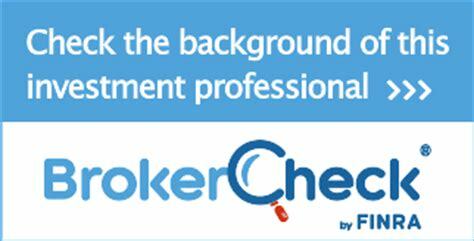 Securities offered through LPL Financial, member FINRA/SIPC. Investment advice offered through Private Advisor Group, a registered investment advisor. Private Advisor Group and Guillaume & Freckman, Inc are separate entities from LPL Financial. Copyright © 2018. Guillaume & Freckman, Inc.